A high-end home theatre must justify the investments in dedicated space, expensive gear, furnishings and the integration to put it all together. A home theatre is a labour of love to entertain and relax the owner and their family, friends. Acoustics is a very important link in the chain. As George Lucas, the Star Wars ideator, famously said ‘Sound is half the picture’ which is saying a lot and he should know! 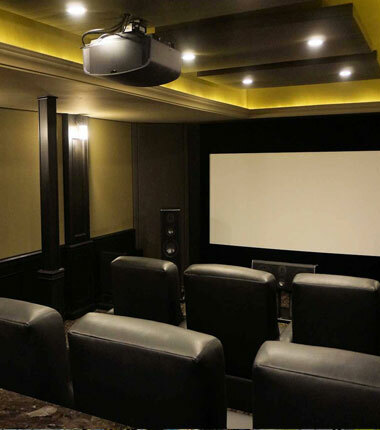 Home theatres are usually a dedicated space inside a villa or penthouse and hence need to be floated or built room within a room for noise | vibration isolation. Fortunately, Anutone offers a single-source capability of supplying it all. Resilient mounts like Spring and Sway with MatBSB and Tufbloc skins on Studd | Strut metal framing. Once the primary ceiling, panelling, flooring is done the secondary surface finish for sound absorption comes in. Enhance the movie experience like a multiplex with acoustics that precisely matches the 3D immersive audio. Delight your family and guests with goosebump performance. 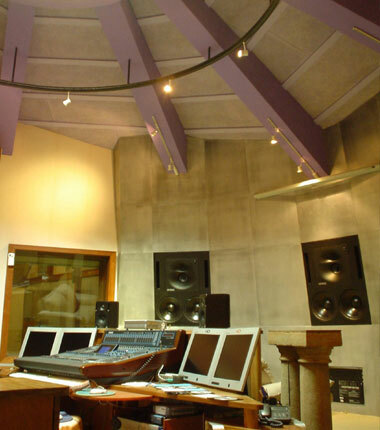 Envirotech studies every aspect of a studio and digital audio to offer product solutions.